You just can’t afford to not have a Banarasi saree in your collection of sarees. 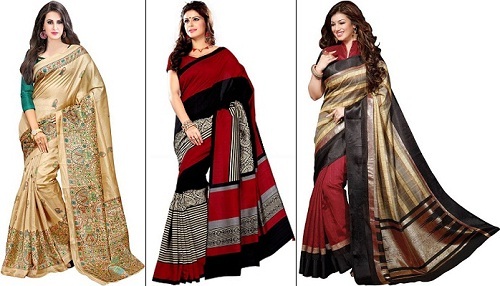 The silk used in making these sarees is handwoven. Owning a Banarasi saree is like having a piece of art. Don’t own it yet? Get one today. Kanjivaram is the pride of South India. Kanjivaram is also made of silk and is known for its elegant gold border. The intricate motif-work along with temple border which highlights the local culture are not to be missed. The speciality of Bhagalpuri silk is its dying style. 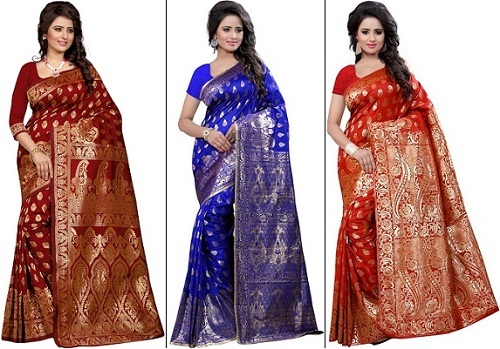 Originated in Bhagalpur, the dying process makes these sarees stand out from the rest. It has a versatile appeal and suits females of all age groups. 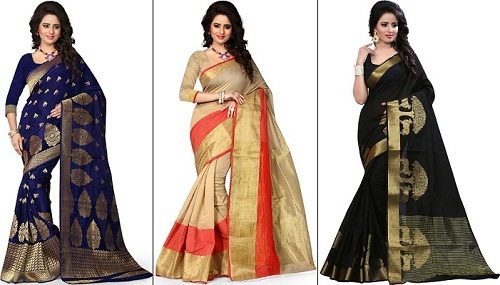 Our collection of Bhagalpuri silk sarees is to die for. Have a lot of traditional events lined up? Go for these combos. 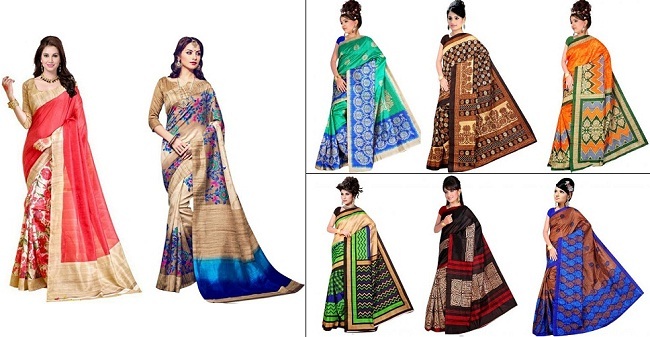 All these sarees come with bold colours and interesting work. Also, the work on these sarees is super elegant. The best part is that they don’t burn a hole in your pocket.